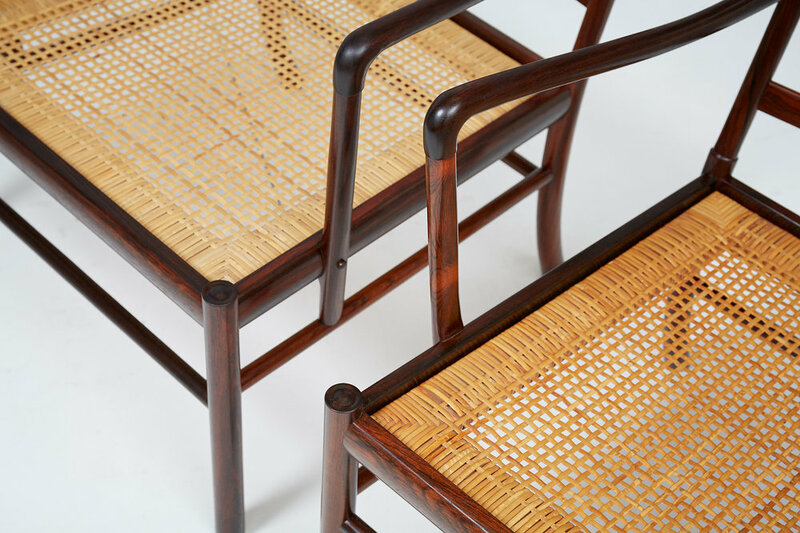 These examples made from Brazilian rosewood with woven rattan cane seats. 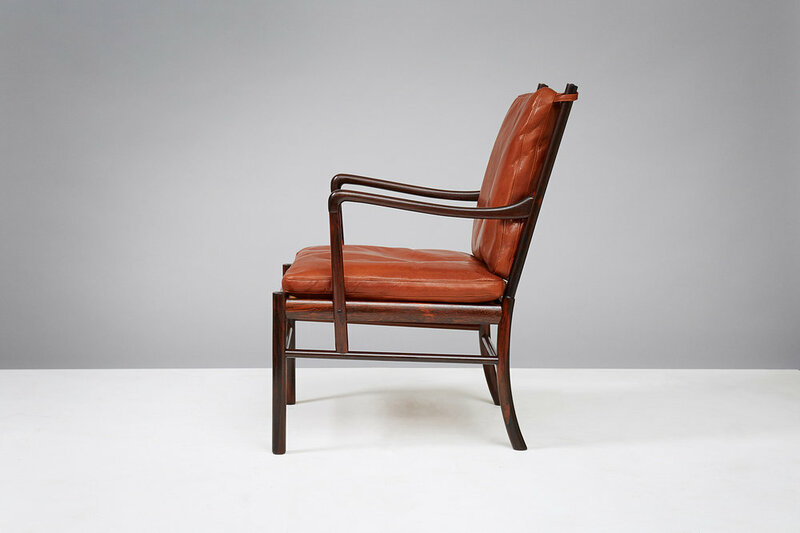 Produced by Poul Jeppesen, Denmark c1950s. 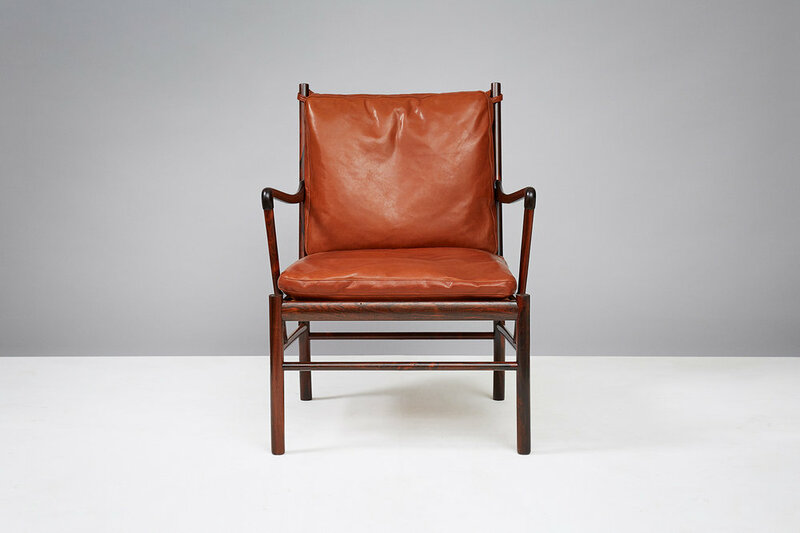 Cognac brown aniline leather seat cushions with loose feather filling.